There are 45 photos in this oblique series. Starting today we are pleased to begin a series of photos on the web site covering the RAF in Wick during World War Two and later years. The section is just beginning and will include many aerial photos from the RAF of Wick and Caithness wartime installations from the air. A few photos taken by the Luftwaffe are also included. They are al black and white photos. If anyone has information about the buildings or any of the photographs then please lets us know and we will add information to the photographs. Look out for many more photos as we add them in coming weeks. Shortly an index page will be added with links to other World War Two sections on the web site and infomration that we have or comes in from any of you. If you would like to contribute to this section just email bill@caithness.org Many thanks to the man who let us have the photographs. Many more will be added soon. There are always new dog owners looking for training for puppies and other doggie training or classes. Caithness Canine Club has set upa new web site with full details of what they now offer. Some details are reproduced here but check the web site regulalrly for the latest information. Wick Assembly Rooms Tuesdays at 7:30pm to 8:15pm £3.50 per non-member and £3 per member. 6 week session from 01/11/11 to 06/12/11. Please contact Secretary to ensure a place is available or to register interest for next block. Wick Assembly Rooms at 8:20pm to 9.20pm £3.50 per non-member and £3 per member. 12 week session from 06/09/11 to 29/11/11 - week of 18/10/11 no classes. Please contact Secretary to ensure a place is available. Gold Level Classes Not available at present but please call Secretary to register for next block. Not available at present. Please call Secretary to register interest for next block. Classes re-commence on Wednesday 23rd February 2011 from 8pm to 9pm at The Indoor Riding Centre in Halkirk. Those interested in attending can obtain further details from Sheila McColm on 01847 895648. A SINGLE goal and a penalty at that, tipped the Scottish Cup scales in favour of Keith, on Saturday, in the second-round tie at Harmsworth Park but it was hardly the stuff of cup magic. Nowhere are there so many if-onlys as in football, and the ones Wick Academy will reflect on, are the chances missed, not least Craig Shearer's header from a free kick which shot past the post. But Keith, who were always dangerous on the break, found finishing, just as much of a challenge. The visitors had to rely on a penalty in the 35th minute, after striker Cammy Keith was tripped just inside the box by Craig Shearer, to take them through to the third round. Keith had a lot possession and were always quick to latch on to Academy passes that went astray but could not consolidate their lead, in windy conditions which frustrated play for both sides at times. The second half was a slog with Academy pushing to level, through good efforts from David Allan, Sam Mackay and Stewart Ross, none of which produced that precious goal on which to build a possible win. Happiest person on the terracing was the supporter who pocketed a record £250 in Academy's regular 50/50 draw. The Community of Caithness and North Sutherland is soon to gain from a new £4M community benefit package which is being provided by the NDA from the new Low Level Waste Facility currently being developed at Dounreay. The aim of the newly formed Caithness & North Sutherland Fund (CNSF) is "to increase the attractiveness of Caithness & North Sutherland as a place to live, work & invest with particular emphasis on achieving environmental, social, culture and infrastructure improvements". 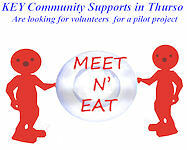 Next January KEY Community Supports will be launching a weekly “Meet N Eat” at Thurso Youth Club. This service is for the elderly in the community to enjoy a healthy two course meal with a chance to make new friends. We also hope to provide activities from entertainment, information sessions and even some light exercises, but we are open to suggestions. If you are a senior citizen, would you like to help us by attending one of our trial runs? These will be held on 28 Oct, 25 Nov and 16 Dec. Come along, have lunch, see what we have to offer and tell us what you think. As the project will have to be self financing, there will be a small charge for the meal. The Youth Club at Millbank is easily accessible by car and is on the town’s bus route. In some cases we could even provide transport to and from the Youth Club. KEY supports a number of people with learning disabilities to live in their own homes in the local community. Many of the people who use KEY services have a keen interest in healthy eating and are keen to be involved. Some of KEY’s staff and volunteers are involved in catering and have the relevant qualifications. They will be preparing the meals with the assistance of some of the people we support. This will enhance their skills and confidence and help make friends and build networks in the local community. Marie Bremner, one of KEY’s team leaders, will be overseeing the project. If you would like to be involved, or know someone who would, please let us know. 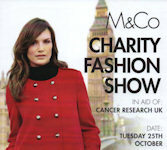 Further information from Marie Bremner. e-mail marie.bremner@keycommunitysupports.org or telephone 01847894158. Following a period of statutory consultation, The Highland Council is recommending the replacement of Wick's four primary schools with two new purpose built facilities. A report to be considered by the Education Culture and Sport Committee on Thursday 10 November will recommend the Council spends almost £20 million on two new community schools - one to the north of the River Wick and one to the south. This will complement the £37 million earmarked for the replacement of Wick High School, which will also include a replacement community swimming pool and community library. To the north of Wick the Council proposes to amalgamate Hillhead and North Primary Schools in a new school building on land available within North Primary School. The school, estimated to cost £10.5 million, would cater for approx 360 pupils. To the south, the Council proposes to join the South and Pulteneytown Academy Primary Schools in a new school to be built on the site of the existing Wick High School playing field site and the site of Pultneytown Academy Primary School. The new school would cater for 360 pupils at an estimated cost of £9.225 million. It is proposed that the new Primary School, which would also house the existing Caithness Early Years Autism unit, will be co-joined to the new Wick High School building thereby creating a purpose-built 3 to 18 campus. Caithness Businesses are already tasking up our offer of FREE advertising in the pre Christmas run up. We know time are harder then in previous years for traders. So if you are selling anything for Christmas or want to advertise such as Christmas Dinners, Dances, Entertainments, Special Offers or stock you have specially for Christmas send us your information ready to go on with a photo or two and we will do the rest. So far the following ads are on the site with links to the business page and their web sites where available. Many acres of print have been written about the Scottish Parliament building but now a new publication will illuminate an unusual corner of this much talked about structure. A Scottish Natural Heritage funded leaflet will lift the lid on the stones in the Canongate Wall. Under the façade of the Canongate side of the parliament building is the Canongate Wall. During the construction of the parliament buildings a blast wall was incorporated into the design. The 39 metres long and 6 metres high wall, at its highest point, is set with a selection of Scottish rocks, some of which have Scottish texts carved onto the face. These texts were selected by a panel of MSPs, together with a literature expert, and include suggestions submitted by the Scottish people. In all 24 pieces were chosen for the original design, ranging from Sir Walter Scott to Alasdair Gray. In 2010, to mark the tenth anniversary of the Scottish Parliament in 2009, two more stones were added. In total there are 28 panels of Scottish rocks; from red sandstone from Dumfriesshire, formed when Scotland was a desert, to volcanic grey granites from Aberdeenshire. Yarrows Heritage Trust have almost completed the renovations at Thrumster Station. The building which lay derelict for many years has been given a new lease of life thanks to grants and hard work. The works were carried out by local Clyth contractor Robbie Gordon under a grant award from Highland Leader and Heritage Lottery Fund. A small SNH grant was also received towards establishing a woodland area in the field opposite station. This has been planted out and has a pathway system which ties into the Station car park. Future plans are to extend the pathway system to incorporate access to an archaeological feature behind Thrumster House and to include different wildlife habitats. 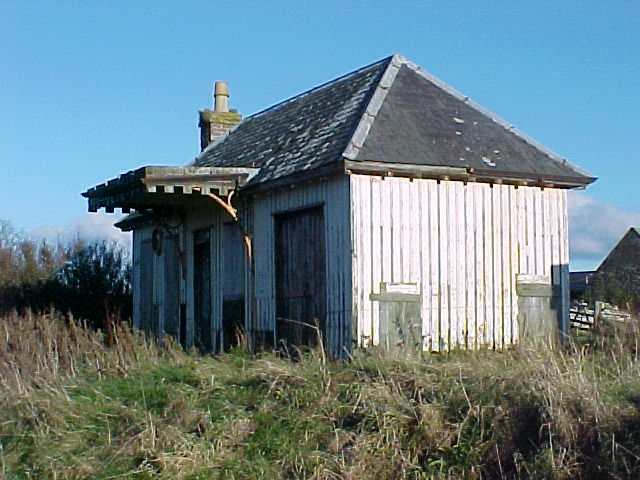 Thrumster Station was one of the stations of the Wick and Lybster Light Railway which opened on 1st July 1903. The railway closed in April 1944 although officially it remained until 1st Febraury 1951 when the company finally ceased. The stations on the line were Wick, Thrumster, Welsh's Crossing Halt, Ulbster, Mid Clyth, Roster Road Halt, Occumster, Parkside Halt and Lybster. The Wick station was part of the present Coop building and you can still see the stone walls at the rear. Learn about the benefits of woodfuel. Get advice on how to use it and see how it is produced. Horse logging, beehive wood stack building and competition, children's quiz and activities, energy heat/boiler advice, forestry machinery deomonstrations, charcoal production, pole lathe, green wood turning, sales table, hog roast and refreshments and much, much more. Extra parking available at Dunnet Beach Seadrift Carpark. For information and advice about Government support for renewable heat installations for Business (starts 2011) and Domestic (starts 2012) use. - Free event with refreshments. Dunnet Forestry Trust in conjunction with Highland Birchwoods will be running a woodfuel training and demonstration day in Dunnet Forest on Friday 14th Oct, from 10.30am until 4.30pm.For Forestry Contractors, Woodfuel Producers, Land Managers. Lunch provided. 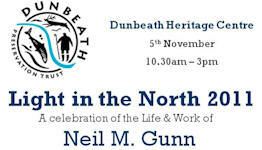 info@dunnetforest.org or phone Dunnet Forestry Trust 01847 598205. There is no cinema in Thurso any longer but if you want to make the drive along to Bettyhill the Screen Machine is coming on 4th and 5th November. You can book seats in advance by telephone. Following the start of work in September to rejuvenate John O'Groats as a premium tourist destination, work continues on the ambitious project to redevelop the historic hotel and adjacent land. As part of the project to completely transform and rejuvenate the area, a £1 million building contract has been awarded to local timber frame manufacturer Norscot Joinery Ltd from Wick. 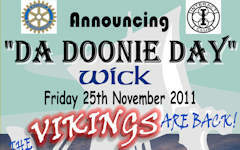 Thurso and Wick Rotary Clubs and Interact Thurso are setting up a spectacular day with the vikings from Shetland to lead a torchlight parade to switch on the Christmas lights in Wick followed by the tradional viking galley burning. Then in the evening entertainment at the Assembly Rooms with the squad from Shetland being joined by Caithness squads. But there is more - the vikings will lead torch lit parades in Halkirk and Thurso on the evening of the 24th November. Times are tough for small businesses but what can be done to make things better for traders in Caithness. Well there are two things we can identify that make life better for any business. One is to keep costs down and the second is to keep your marketing of your locally made products up. Caithness.org via the Business Index is offering any Caithness business making products free ads in the run up to Christmas. If you business makes or sells anything that you think will be suitable for Chirstmas gifts or for the season then just email a short article of and a photograph of the produce or products. 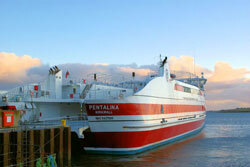 Pentland Ferries recently added a cafe at their terminal for the comfort of passengers travelling with them. No doubt others in the area may appreciate a snack or cup of tea or coffee if they are in the area. The Menu features food such as sandwiches, toasties, bacon and sausage rolls, homemade soup, a large selection of homebakes, tea, coffee, hot chocolate and cold drinks along with crisps and sweets. The cafe is being run by Pentland Ferries and is managed by local woman Linda Cormack. The cafe is open 7 days a week all year from 8am until 6pm. Communities in The Highland Council area are being encouraged to apply for the Creative Scotland investment opportunity called Creative Places Awards. The Creative Places Awards are part of Creative Scotland's new investment programme over the coming three years, beginning with the Year of Creative Scotland in 2012. The Year of Creative Scotland will celebrate and promote Scotland's cultural and creative vibrancy and be a launch platform for activity to support the Year of Homecoming 2014. The purpose of the Creative Places Awards is to recognise and celebrate the achievements of smaller communities where local festivals, events and year-round activities that enhance people's lives and contribute to the local economy take place. Scottish cities including Inverness are not eligible to apply for these Awards. A group of five staff members from Caithness Horizons have successfully completed an EDI National Award in Cultural and Heritage Venue Operations. Caithness Horizons is the only museum in the Highlands to have staff that have achieved this award. The group started their distance learning course last November. As part of the course they had to complete units on customer care; health and safety; good housekeeping; finance and visitor services. They were presented with their certificates of completion on 6th October by Steve Worsfold, Training Manager for rewards TRC. Paul Cariss, Caithness Horizons Chairman said that he is absolutely delighted with the achievement of the museum staff. 570 primary and secondary young people from all over Highland were in Inverness yesterday (Thursday 6 October) to take part in the 2011 Highland Music Day. Organised by The Highland Council, seven venues across the city were used to host workshops for young musicians of strings, brass, woodwind, bagpipes and pipe band drumming, traditional music and percussion. The day, for all abilities, included group playing sessions and featured special guest tutors from the Royal Conservatoire of Scotland, saxophonist Richard Ingham, brass educator and conductor Alan Fernie, samba percussionist Roddy Dickson of Sambayabamba, tutors from the College of Piping, traditional musicians Charlie McKerron and Gordon Gunn, and members of Scottish Opera Orchestra. Making Waves at Wick Family Centre is open for the second week of the October holidays (17th - 21st) with a fun packed programme. We still have some places available for children aged 4-11 years. Sessions run from 9:00am – 1.00pm and 1.00pm - 5.30pm, the cost of each session is £6 for half day or £12 for the full day. (Mid morning and mid afternoon snacks will be provided, however if your child is attending a full day please provide them with a packed lunch). To ensure your child a place, please call us on 01955 606065 or email us at wickfamilycentre@mail.com For swimming, please ensure you provide your child with costume/trunks, a towel and goggles if required. Also, if your child has a hi-life card they can use that as well. We are only doing one trip this year to Thurso to meet with the kids from Nosca at Caithness Horizons for a play day. We ask that any child being booked in for this trip is to be at the club by 10am. There will be an additional cost of £2 for this trip which is to be paid in advance to cover the cost of the minibus. We are also planning a Halloween party on the 21st October so the children can dress up as something scary! Food donations are welcome. As well as the organised activities Making Waves also offers a wide range of arts and crafts, computer consoles, laptops, games tables etc which will be accessible at all times. Some outings/activities are subject to change; however we will always do our best to find a fun alternative. A full day walk over rough ground, passing the best preserved broch in Caithness and Badbea. Wear proper boots, warm clothing and waterproofs. Bring lunch. Meet at the Ord car park on the A9. Drivers will be brought back to the start.